Join me as I sit down with my friend and fellow Captain, “The Masked Captain” of the Knights of Sparta, to learn a little more about them. JL: In researching the Knights of Sparta, I learned the organization was formed in 1951 and first paraded in 1981. After 30 years of presenting elaborate bal masques and tableaus, why the move into parading as well? MCKS: That move was made the our previous Captain and the Officers at that time. The possibility of parading was afforded us by Mr. Bernard I. (Irv) Zoller, who was the Captain of MECCA. 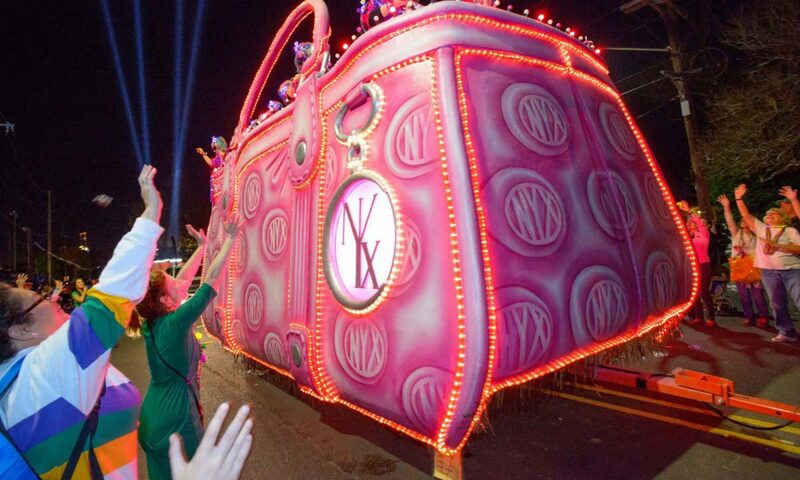 He offered to incorporate what was then the Krewe of Sparta into his parade on the first Saturday of the parading season. After one very successful year of parading as MECCA / Sparta, Irv decided to step back into the Captain Emeritus position and offer the parade permit to Sparta. That is when we became The Knights of Sparta, and have paraded under that name since. JL: Parading in New Orleans has so many traditions and one of them is the use of Flambeaux’s. which Sparta still uses in its parade. Why have yall decided to continue with this tradition? MCKS: We were able to acquire a number of “original kerosene flambeaux” many years ago. We feel that having flambeaux in our parade links us with the parades of yesteryear, and gives the crowds that attend our parade a taste of the processions of the 1800s. We are, of course, not the only parade that still uses the old kerosene flambeaux. However, three are very few, and upholding many of the old traditions of Carnival is important to our members. JL: How long have you been the Captain of the Knights of Sparta? MCKS: This will be my fifteenth year as Captain. I am only third Captain in the 67 year history of Sparta, and I am very humble and proud to serve in that capacity. JL: In your own words, can you explain the role of the Krewe Captain, and tell us some of your duties. MCKS: I expect that the role of Captain varies from krewe to krewe. However, in Sparta the Captain acts as the CEO and Chairman of the Board. The Officers each have their responsibilities and/or events to chair. However, the Captain oversees all the activities of the organization and has control of all artistic aspects of the Bal Masque and Parade. I write and produce the Bal Masque, select the yearly themes, control the design of the costumes and floats, and chair several events. I must add that the Officers take a very active rule in all of activities and work hand-in-hand with me on all aspects of our organization. It is, truly, a “team effort”. JL: I have had the honor of attending many of your beautiful bal masques and parades. Something very unique about the Knights of Sparta I find very interesting, and others may not be aware of is, the Junior Captain. Can you share with me his relation to you and what roll he plays in the organization? MCKS: The position of “The Captain’s Shadow” was developed for Sparta by the previous Captain. His grandson served as The Captain’s Shadow for a number of years. My grandson, who is now 22 years old, began as The Captain’s Shadow, but was re-titled The Junior Captain when we grew taller than me. Incidentally, I took a good bit of friendly ribbing from some of the other Captains as my Grandson grew and eventually outgrew me. The idea of a Captain’s Shadow or Junior Captain is to link the generations of Carnival and show that it is a tradition that is passed down from father to son………and from grandfather to grandson. Thus, Carnival survives and thrives through the years. I now have a two year old Grandson, who I hope will eventually become The Captain’s Shadow. JL: How many officers help you run the krewe? MCKS: At present, we have 10 Officers. Each Officers has specific duties and/or events or committees to chair. Of course, the Officers’ Ladies are also very involved in our success each year. JL: Another thing I think is so much fun about you is that you assist other krewes during the season with narration of their balls and tableaus. How did that begin and how many balls do you assist with per year? MCKS: I was fortunate enough to have a background in theater while growing up in Ohio, and have never been shy about being in front of a crowd or behind a mic. I was also very honored to learn about Carnival from some of the great masters such as Irv Zoller, Irma Strode, Karl Smith, Norris and Jimmy Fitzmorris, and others. They taught me about bal masque and parade structure, narrating, and the history of Carnival. Over the years I guess it has just snowballed into being involved with a number of krewes. Through those years, I have written and narrated coronations, bal masques, and parades for over 20 krewes. I presently am involved (in one way or another) with 14 organizations. JL: I know the Knights of Sparta believe firmly in the traditions of Mardi Gras. Which traditions are some of your favorites? MCKS: The traditional Old-style tableau bal masque is very important to Sparta and to me. We are one of the very few krewe that still stage a traditional tableau ball, and feature actors, dancers, singers, costumed Court, and a intricately scripted tableau. Masking for the parade is certainly also high on the list for Sparta. We require all of our members to keep their masks in place for the entire ride. I also love the fact the our parade features aspects of Carnival’s past, like traditional flambeaux and a mule-drawn King’s float. We also almost exclusively use marching bands in our parade, like the parades of old. 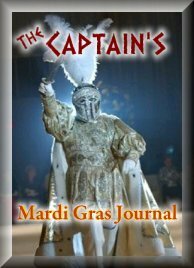 JL: What would you say is your greatest Mardi Gras memory in your time as Captain? MCKS: I would have to say that my ride the first year that I was Captain was my most significant memory. I was elected Captain in March of 2005, and was preparing for my first year as the leader of Sparta when Katrina hit. It was a real fight to just get our parade on the street for 2006, with displaced members, depleted city resources and manpower, etc. However, we were able to parade, and the people of the city were overwhelming with their outpouring of gratitude and love for us and for the continuation of the Carnival tradition. Sitting astride my horse and leading the parade as Carnival proved to the world that New Orleans was not going to give up after disaster was a wonderful feeling. The Knights of Sparta will parade on Saturday, February 23, 2019. Membership is currently open. Please visit http://www.knightsofsparta.com for more information.